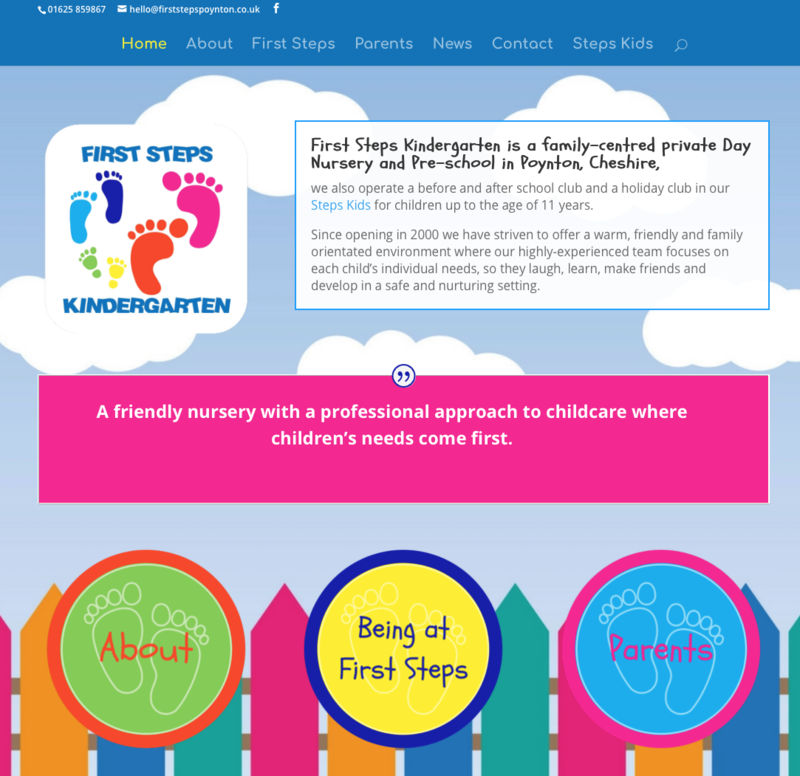 First Steps already had a website but it was difficult to update and the design was outdated. I worked with the lovely Becki Rogerson of Hop PR on this project to ensure the copy was engaging and inline with the overall marketing strategy for the nursery. 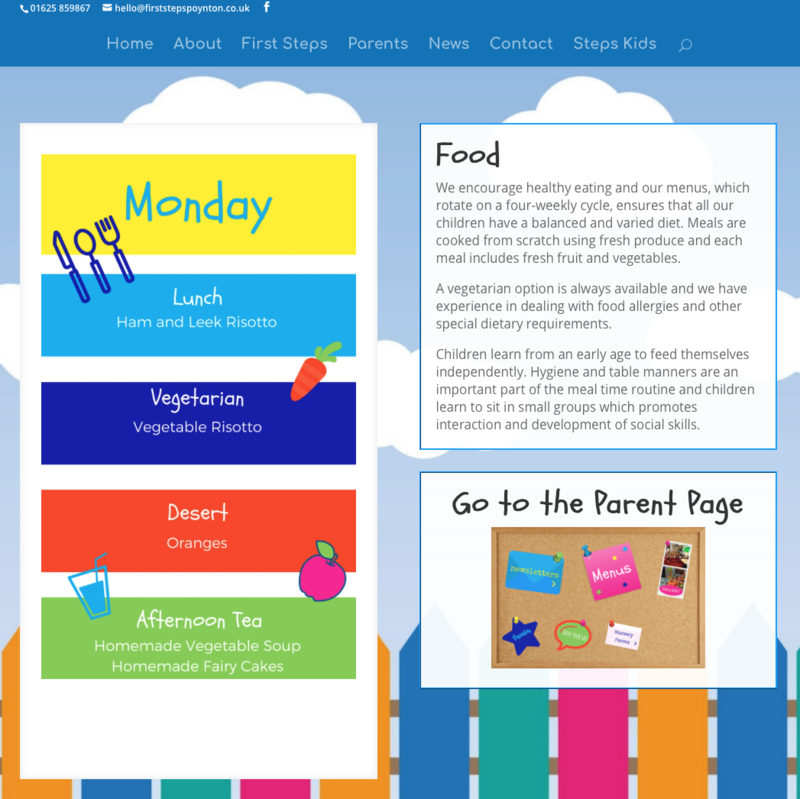 I created an engaging WordPress website with animation and integrated pin board parent page. Becki can now add news articles direct to the site and update any content herself. I loved working on this site and delighted they love it too! 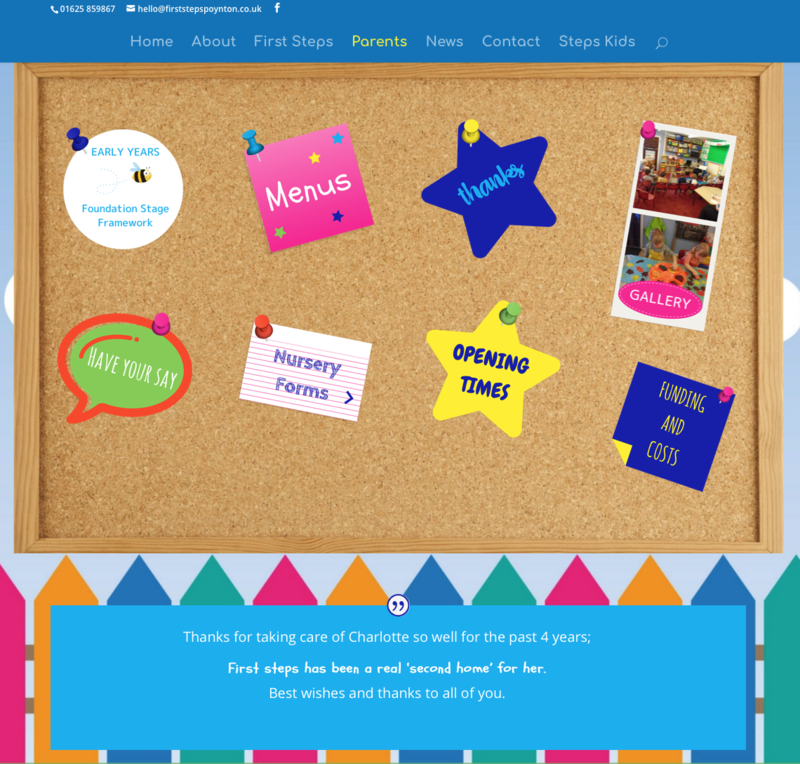 I have recently had a new website created by Naomi at Happy Heart and was absolutely delighted with the finish product. The website is very user friendly and really captures the feel of our setting. Throughout the process Naomi was on hand to help and advise and nothing was too much trouble. I wouldn’t hesitate to recommend Happy Heart to anyone!